Sometimes the bohemian would just like to reward himself for his frugality, that he has maintained for many months, and would like to enjoy an occational pig-out in the company of good friends. 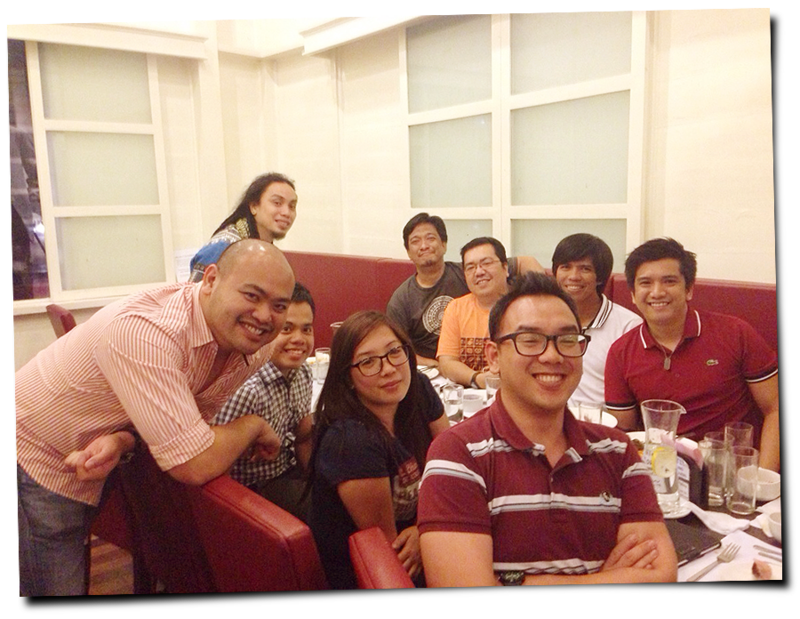 This is what I did yesterday in a despedida dinner for our friend Cholo who will be back on-board a cruise ship. That's him right in front. The ceilings are high, the floors are of wooden planks, and the wood partitions have moldings and panels that are typical of American colonial homes in this part of the Metro. Because it was a house, rooms are made into separate dining areas that's perfect for private meetings and other functions. 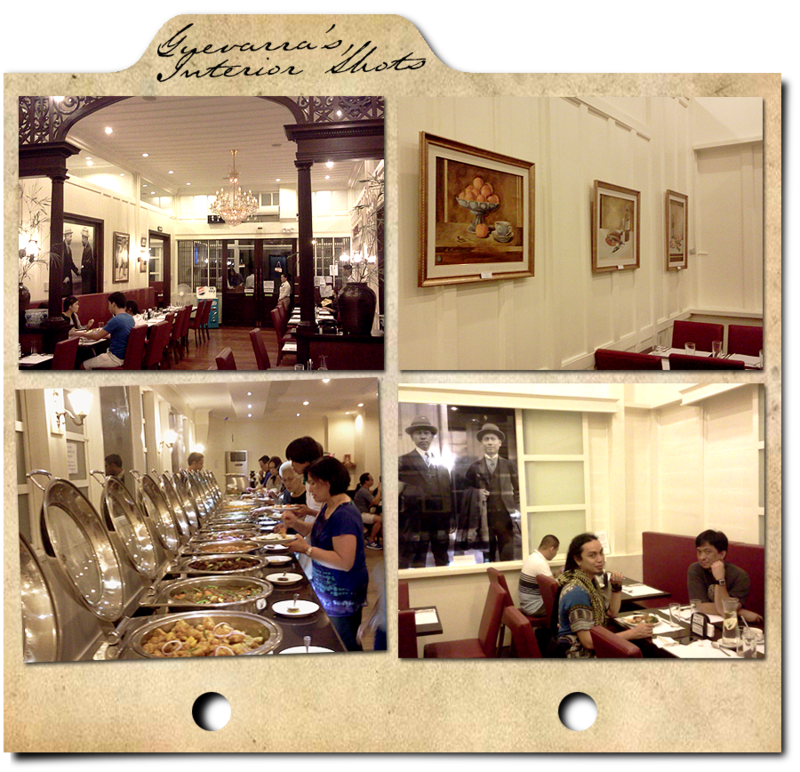 If you come a bit early before dining hours, you get to appreciate better all the artworks that adorn every room. The paintings that I saw are of Khristina Manansala. I'm not certain if it's a permanent feature of the restaurant but it might as well be because the still-life paintings of food is just perfect for the place. 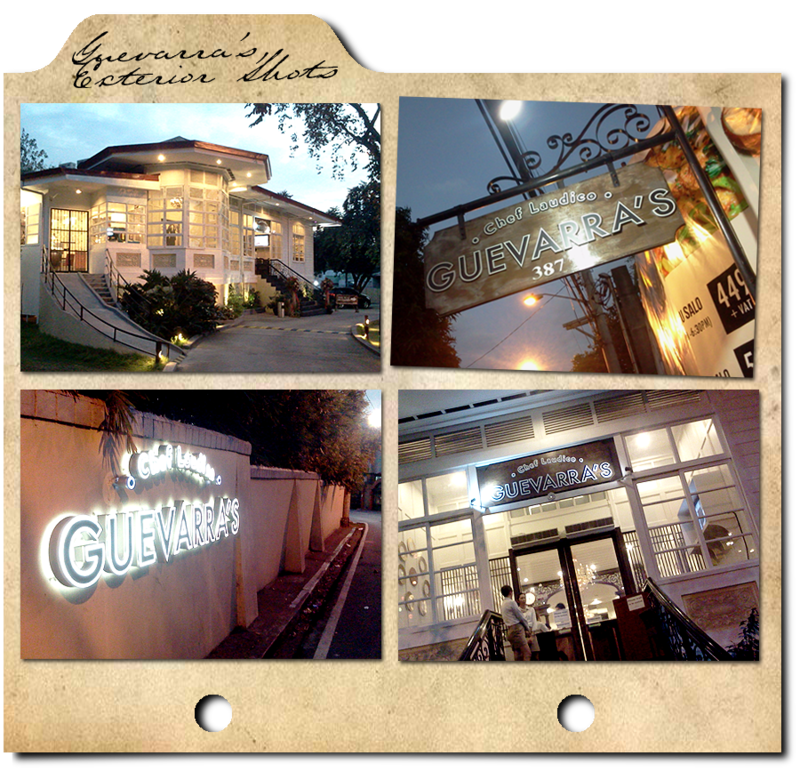 If you're eyes are pleased by what you see in Guevarra's, you're taste buds will certainly be pleased as well. With a remarkably wide variety of dishes, you will be caught in an indecision on which of your favorites you will skip because your stomach could only take so much. I skipped the pasta and other carb-loaded faves. 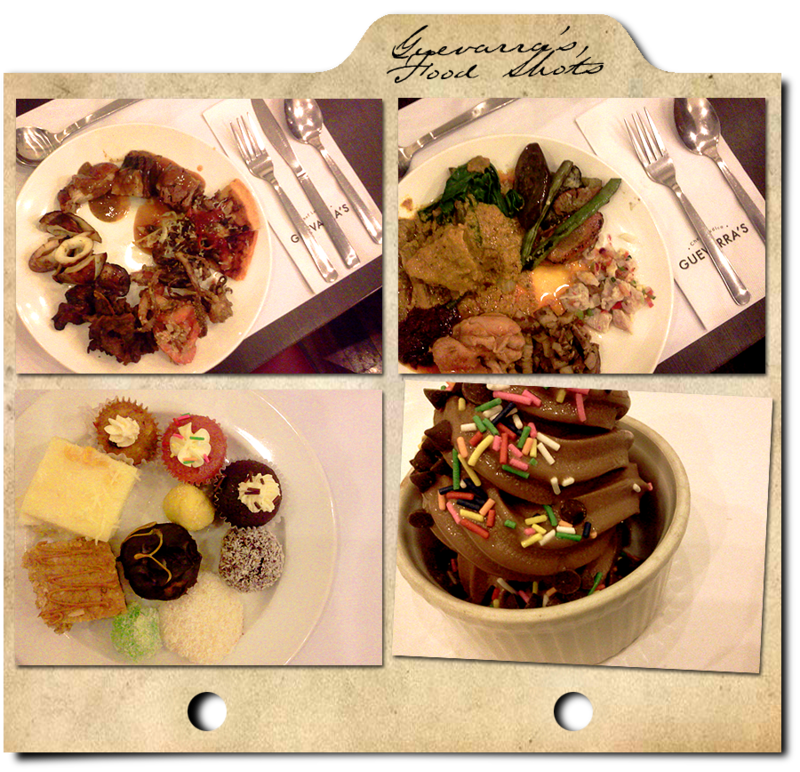 I really like kare-kare and dinuguan. After trying their's, ahhh, I now know what I shouldn't miss on my next visit. Their maja blaca dessert is just awesome! Soft and creamy! Take note of their buffet schedules and rates at their Facebook page as the buffet is not available at times on particular days of the week. The rates are relatively the same as other known restaurants you'll find in malls but the historic feel of their ambiance, combined with their great-tasting food and good service, is certainly their edge above others.